A native of Washington, D.C., Dolores Kendrick was appointed Poet Laureate of the District of Columbia on May 14, 1999. 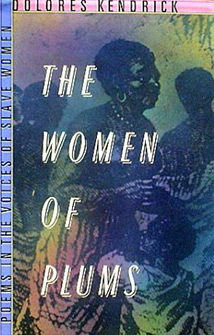 Ms. Kendrick is the author of the award-winning poetry book, The Women of Plums: Poems in the Voices of Slave Women, published in 1989. In 1996, a CD of music inspired by The Women of Plums was released, and Ms. Kendrick adapted the book for theatrical performance in Cleveland Ohio and at the Kennedy Center in Washington, D.C. The adaptation won the New York Professional Award in Theatre. She was the first Vira I. Heinz Professor Emerita at Phillips Exeter Academy, and one of the first original designers and teachers at the School Without Walls in Washington, D.C. Ms. Kendrick currently works out of the D.C. Commission on the Arts and Humanities.